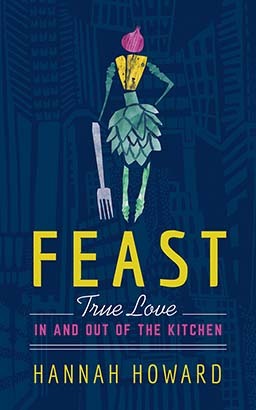 The compulsively readable memoir of a woman at war-with herself, with her body, and with food-while working her way through the underbelly of New York City's glamorous culinary scene. Hannah Howard is a Columbia University freshman when she lands a hostess job at Picholine, a Michelin-starred restaurant in Manhattan. Eighteen years old and eager to learn, she's invigorated by the manic energy and knife-sharp focus of the crew. By day Hannah explores the Columbia arts scene, struggling to find her place. By night she's intoxicated by boxes of heady truffles and intrigued by the food industry's insiders. She's hungry for knowledge, success, and love, but she's also ravenous because she hasn't eaten more than yogurt and coffee in days. Hannah is hiding an eating disorder. The excruciatingly late nights, demanding chefs, bad boyfriends, and destructive obsessions have left a void inside her that she can't fill. To reconcile her relationships with the food she worships and a body she struggles to accept, Hannah's going to have to learn to nourish her soul.